Train elite scientist with creativity and global leadership. 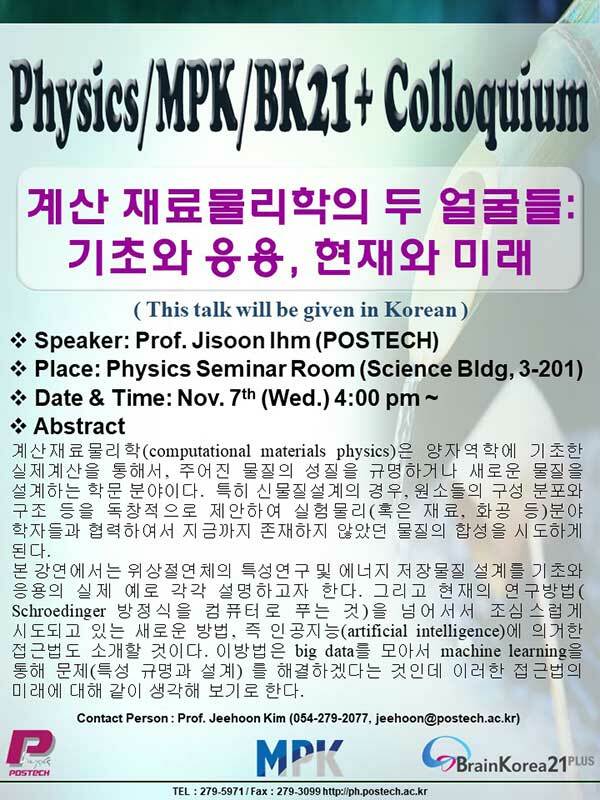 The bellow is colloquium schedule in Physics department. Every Wednesday 4:00 PM, colloquium is held in seminar room (Science Building III -201) Also, Free tea time will be held 30 minutes before colloquium stars. Please visit and enjoy the colloquium and tea time. We will have the ‘Physics Tea Time’ at 3:30 pm prior to a regular Colloquium at 4:00 pm. Please come and join us and say hello to each other.